This weekend has been action packed celebrating our 5th wedding anniversary. How time flies! Following tradition, and with it being 5 years I sourced a beautiful handmade beer bottle holder, complete with opener on Etsy by a company called knot just boxes. Stocked with his favourite local brewed Brewdog he was absolutely delighted! The hubby bought my stunning new earrings and treated me to a gorgeous meal out to Native by Nick Nairn in Aberdeen. Booking a table was not an experience I would like to repeat, but after 15 minutes and the gentleman phoning me back we finally got there! To be honest its quite difficult in Aberdeen to find somewhere serving local Scottish produce, but Native ticks all the boxes. The menu has a lovely selection of locally sourced ingrediants. I finally settled on traditional Haggis, Neeps and tatties topped with crispy parsley. This arrived beautifully presented but the whisky sauce container was so hot I couldn’t lift it. The hubby had slow braised roast pork belly, hand dived Orkney scallop with crispy black pudding and apple sauce-pork crackling. I was jealous when I saw how tasty it looked! Then for the main course I definitely had the best choice 🙂 Peppered, dry aged Inverurie beef strips with hand cut chips, fine beans and shallots accompanied with whisky and wild mushroom gravy. Brian opted for his favourite ‘Fish and chips’. The haddock fresh from Peterhead with generous proportion of hand cut chips, home made tartare sauce and lemon. So I tried some free apps, to get an idea of which one works for me. I initially installed the free Road Bike app from Runtastic, loved it almost instantly and upgraded without a second thought to the Pro edition (£2.99). 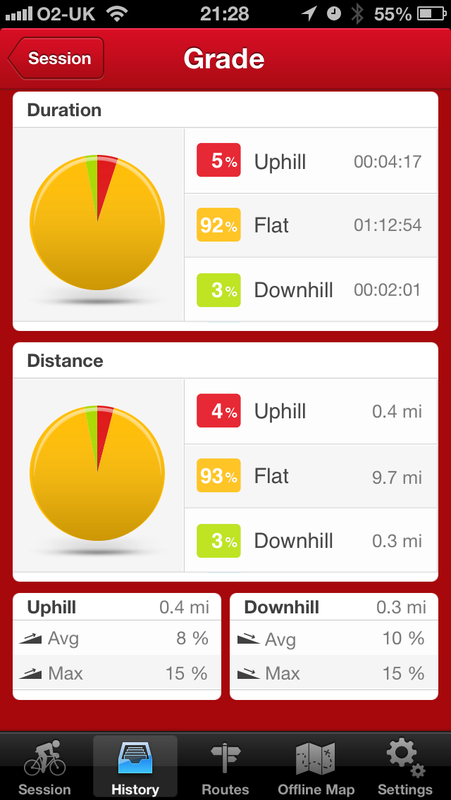 The app allows you to track your cycles and is packed with features analysing your ride, progress and route. From the main session window the app tracks the important measures of your rides including duration, distance, elevation, route and calories burned. 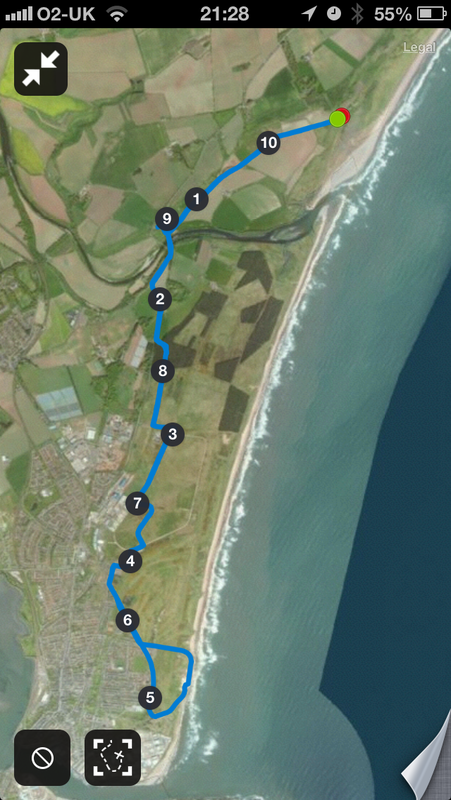 The route map is a fantastic way of keeping a record of your routes, and ultimately analysing your progress on repeat workouts on the same path. 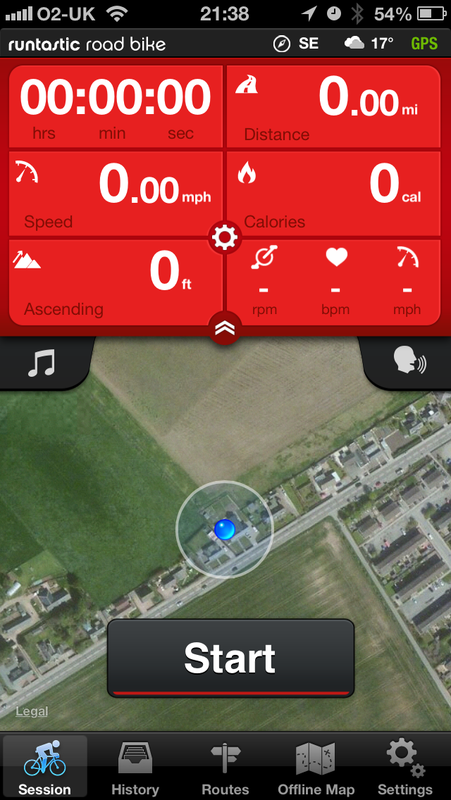 You can also personalise the app to display the features that you want to see. One of my favourite features is the voice alerts (coach) to distance and times allowing me to concentrate on the road, keeping upright and pushing my legs 🙂 ! As well as these features another nice touch is the session conclusion giving you a breakdown of stats, and a share to Facebook, Twitter and email option to show off your hard work and workout. Overall I absolutely love this app from Runtastic. 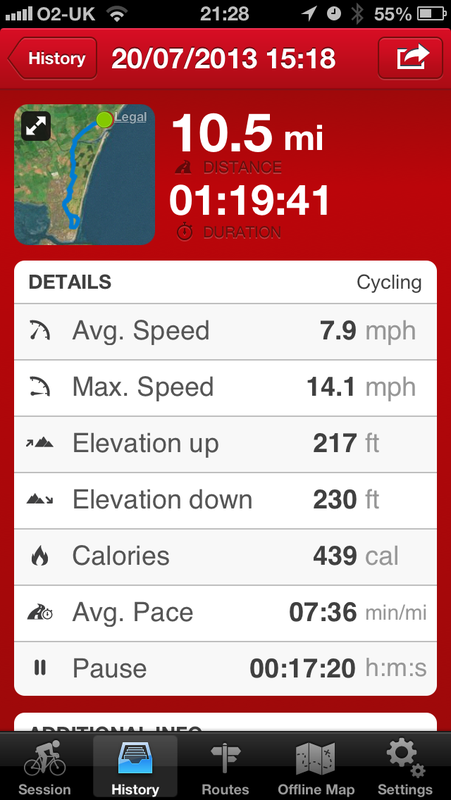 The features are ideal for me to keep a log of my rides, and help me set goals in improving my fitness. 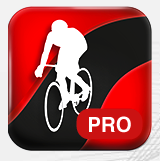 Road Bike Pro is available from the Apple App Store and Google Play. So part of my loose weight and get fit plan I decided to pull out my bike from the shed and get pedalling. OK so its been in there for about 10 years and to say it was a a bit worse for wear is an understatement!!! The hubby suggested going for a look at some new mountain bikes. We have a few options in Aberdeen but we took a trip to Edinburgh Bicycle Cooperative on George Street, Aberdeen. Upon entering I was faced with a huge selection of bikes. So where to start?? Thankfully their helpful staff could see I was in a dilemma on what to look at! Who knew there were so many different types of bikes!! So we found my new bike: an Revolution Ascent XC Disc ’13 – yeah I know how technical I sound! Revolution is Edinburgh Bicycle Coop’s own brand and ticks every box for my biking needs. Best of all the shop currently has 15% off everything – meaning the bike is budget realistic and affordable. 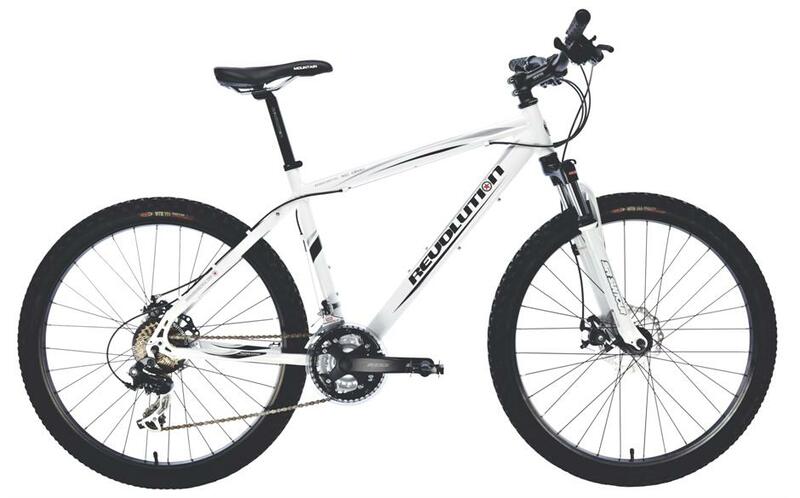 Bad news I now have to wait until Friday to get my hands on my beautiful new bike. As well as over 100 bikes, the shop also provides a good selection of cycle clothing and accessories. They also have an in-store workshop for repairs and servicing. I can’t recommend the shop and helpful staff enough, and look forward to going out for my first ride on my new bike. Thank you for stopping past and keeping up to date with Whole Lotta Gilly. Gilly, an IT Project Manager based in Aberdeen, Scotland blogs about the passions in her life along with the journey of losing weight, eating healthy and getting fit! All views expressed are her own.